Southwest Sweeping is a family owned and operated street sweeping and industrial lot sweeping company. Our company has been serving the Greater Cleveland area (from Mentor to Lorain and as far South as Akron) since 1974. 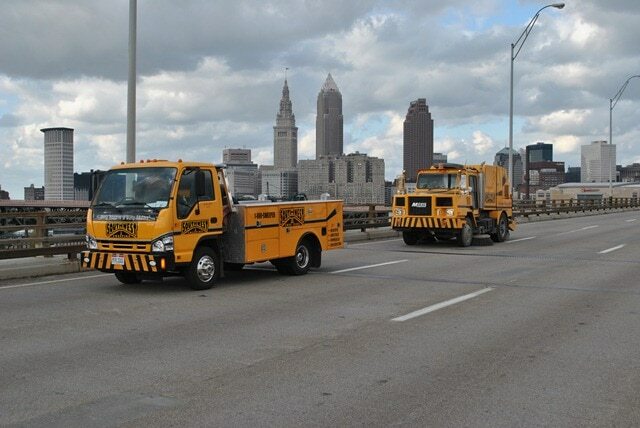 We work with Cleveland area construction contractors, paving companies, municipalities, and commercial / industrial businesses. Our street sweeping equipment is continuously maintained to ensure the highest level of dependability and performance. Southwest Sweeping’s experienced drivers and equipment operators are all licensed, insured, drug-tested, and professionally trained environmental technicians. Specialized work crews are ready for cleanup during asphalt milling operations, or to apply Best Management Practices, (BMPs) where Stormwater Pollution Prevention Plan (SWPPP) is required on construction projects. Southwest’s sweeper crews have the time-tested skills and ability to exceed your expectations even in the most demanding conditions. 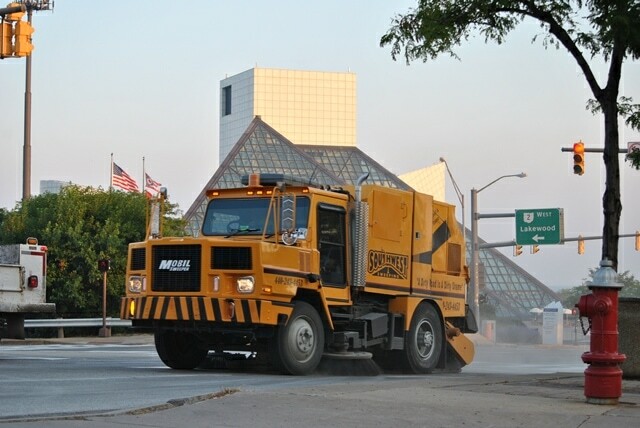 Whether it is a one-time construction cleanup or ongoing, contract scheduled street sweeping, the team at Southwest Sweeping is committed to providing the Cleveland area with the highest customer satisfaction for any power sweeping requirement.